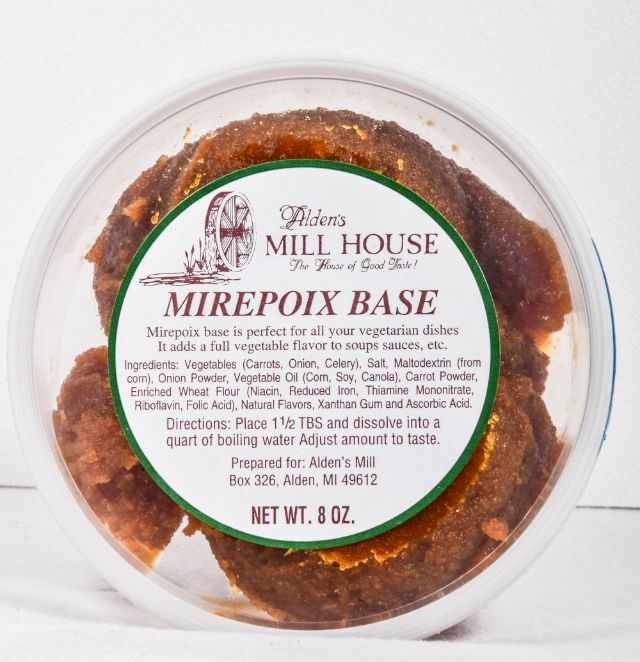 Mirepoix base consists of carrots, celery, and onion all cooked down to make this flavorful product! Great for soups, stews, roasts, squash, pumpkin and any other dish you want that veggie taste in! Vegetables (carrots, onion, celery) salt, maltodextrin (from corn), onion powder, vegetable oil (corn, soy, canola), carrot powder, enriched wheat flour (niacin, reduced iron, thiamine mononitrate, riboflavin, folic acid), natural flavors, xanthan gum and ascorbic acid. REFRIDGERATE AFTER OPENING.